Cavendish will be participating in both the parade and the festival this year. All Cavendish kids and parents/carers can march in the parade for free. Meet at St Catherine’s Primary School, School Lane, between 10.00am and 10.30am. Parade begins at 11am. 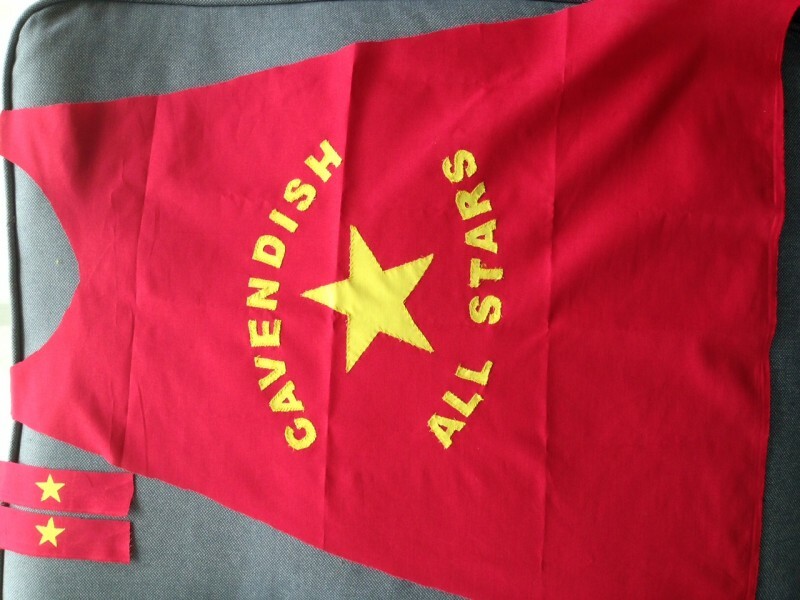 Our theme for this year’s parade, chosen by Florence Gelder, in Reception, is Cavendish All Stars. A theme to highlight everything that our kids are good at/love/passionate about. To help out, the PTA is making 30 All Star Cavendish capes and cuffs, in red cape fabric with yellow fabric lettering, that parents/carers can purchase for £2.50. First come first served. Please email: enquiries@cavendishpta.org.uk to order. We’re recommending combining the cape with a simple white t-shirt and attaching the cape to the t-shirt with Velcro. On the day we’ll also provide Team Cav parade numbers, think running race numbers, to pin on the tops. To capture the thing your child ‘shines’ at, look to make a hat with them to illustrate their passions. Be it music, art, sport or Minecraft! Take a hat you already have and glue paint brushes and crayons to it if your child loves art. Make a hat with a simple piece of cardboard and cut out silhouettes of footballs, guitars, nature or books. What ever your child loves, look to capture on the hat. After all, it’s not a parade without some eye catching head gear! Let’s show Didsbury what Cavendish is all about: Creating Brilliant Citizens! The ‘Cavendish Canteen’ will be selling hot drinks, Cav Mocktails, summer themed cakes and treats all day at the festival. Plus offering a gift and experience or two and our bouncy castle will also be getting an airing. So make sure you pay us a visit – come rain or shine! We’re still looking for a few more volunteers to help out on the day. If you can spare an hour to run the stall or man the bouncy castle please get in touch. We’re particularly keen to hear from you if you can face paint. Every little helps, specifically for our small bank of artists who it falls on at every event to paint 100′s of fidgety kids. Please lend a hand and volunteer.